All students applying for the 10th and 11th grades must submit our Transcript and Discipline Form. This form should be completed by the applicant's parent or guardian then given to the applicant's teacher. 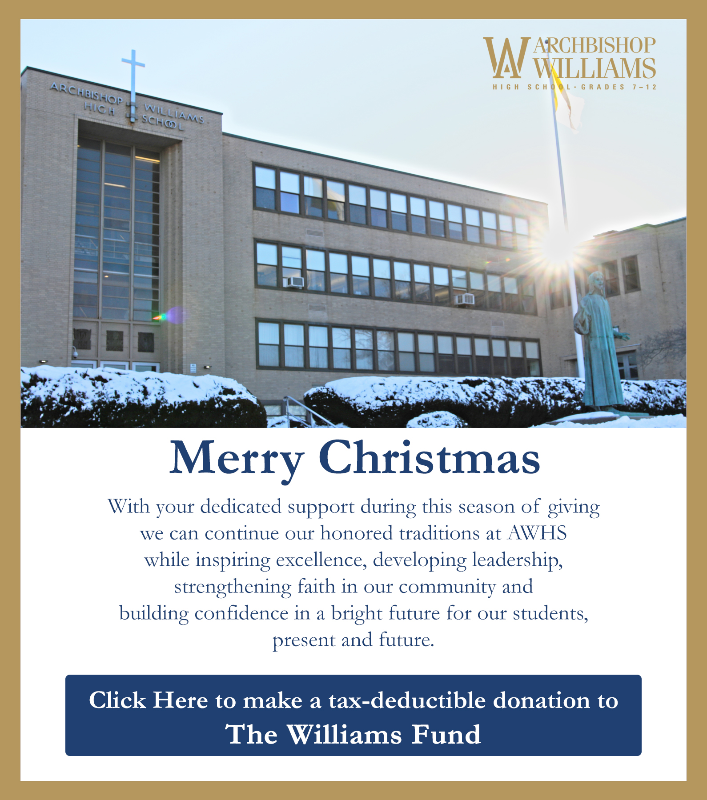 The school will complete the form and send it it directly to AWHS. No testing is required for transfer students. Teacher recommendations are optional for students wishing to transfer to Archbishop Wililams. Although applicants are neither required nor expected to submit letters of recommendation, students are welcome to have an educator write a letter of recommendation on their behalf as a supplement to the application. The best way to learn more and see more is to sign your child up for a visiting day. Your child will be welcomed to campus by a current student, attend classes, and witness the strength of our school community. To schedule a visiting day, please contact our Admissions Director, Michela Schuster, at 781-535-6051, or email Mschuster@awhs.org.